This is a fully supported cycling tour, you’ll be looked after on the road by a dedicated Eat Sleep Cycle support team. The routes are designed for gravel-lovers, not too technical but with lots of fun, varied terrain & spectacular views throughout. The Girona Gravel Adventure is suitable for Intermediate (Level 2) to Advanced (Level 3) riders. It’s ok if you have never ridden a gravel bike before – our guides will be on hand to coach you through any technical sections and we will adapt the rides to suit the level of the group. Please give us a call if you have any questions or doubts. To be able to enjoy the rides regular cycling in the weeks before the tour is highly recommended. Don’t forget our support vehicle will never be from the group should you wish to take a break. We can customise the ride itinerary for groups of 6 or more riders and make this a custom camp. Enjoy first class guiding from your dedicated cycling guides throughout the week. Stop at the best cafè stops for lunch & snack breaks – these are at your own cost. DAVID MILLAR HAS LIVED IN GIRONA SINCE 2006. Girona is as famous for its food as it is for its cycling. Ride through the Emporá wine region by day and taste the produce by night. Taste ice-cream from the best restaurant in the world. 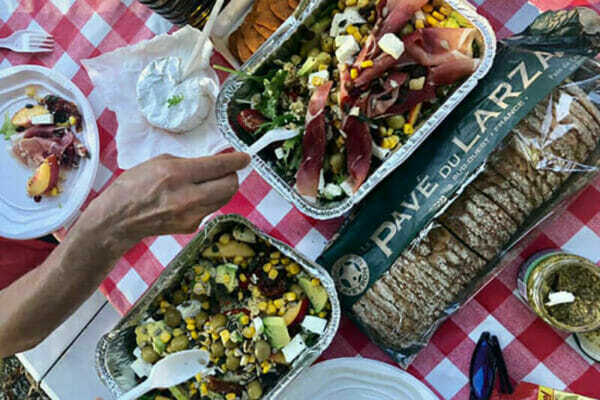 Sample Catalan home cooking with views of sunset over Les Serres. From seafood to paella, tapas to pintxos, the flavours of this town and the surrounding region are sure to tickle your tastebuds. Enjoy a breakfast buffet each morning in the hotel. A welcome and departure dinner is included. Your ride nutrition will be looked after by us to. Lunch can be enjoyed at a scenic spot and it’s up to you to choose what you want tform the menu. 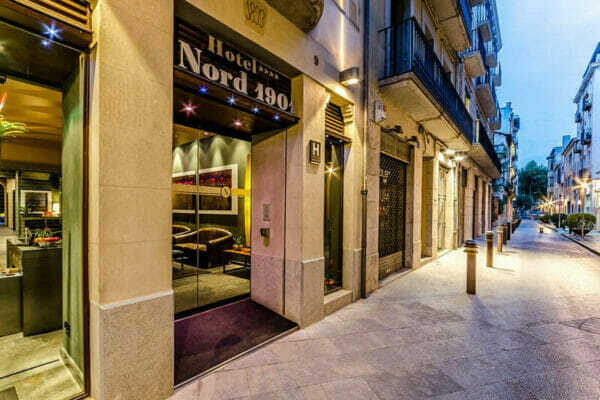 The Hotel Nord 4* luxury hotel brings the style of the Girona old town inside with beautiful decoration and fittings and exquisite attention to detail. The hotel is located in the heart of Girona’s medieval old town, nestled in a tranquil setting just meters from busy cafés and restaurants, providing the perfect base from which to explore the city. 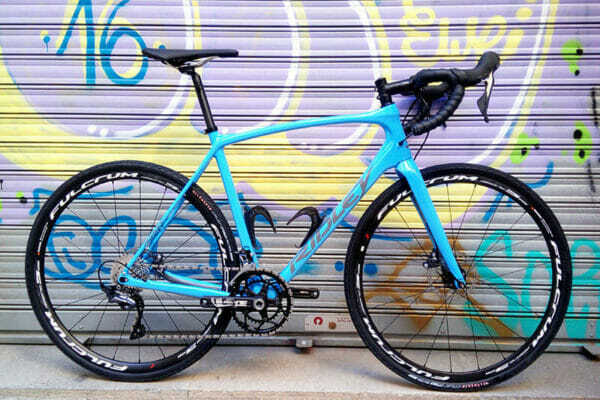 Choose from a Basso Palta designed in Italy, or a Ridley X-Trail designed in Belgium. Plan to fly in and out of Girona or Barcelona Airport. If you’d like to extend your stay ask us about accommodation in both cities. Airport transfers are not included in the package but we can arrange these for you. Let us know your travel plans and we’ll send a quote. I've just returned from a trip to Girona, almost entirely organised by ESC[...] The staff were super friendly and highly organised. Our bikes were superb and immaculate. We had such fun with the guides and we would not have seen as much without them. I cannot recommend ESC highly enough and I will be encouraging my cycling buddies and other club members to go! As a group we are planning a return visit next year! cyclebabe72Superb views, roads, climbing and great coffee stops! 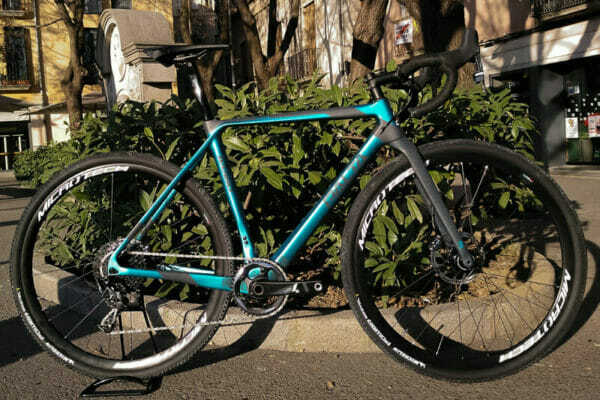 I recently visited gerona on a cycling trip and came across this new company! They were excellent from the start and made my trip such a pleasure! It was a one stop shop for everything I wanted on this trip and nothing was too much hassle! Brian was my guide, he has a great knowledge of the area & knows the hidden gems of gerona of which there are many! I will make this an annual trip and would definitely recommend! The bikes are top notch too! Sean CThanks guys for a great trip! Best Shop in Girona! I have visited Girona a number of times.[...] The bike rental service is best of class. Most important the staff is nice, professional and eager to help. I will be back! Don't think twice, The best in Girona!